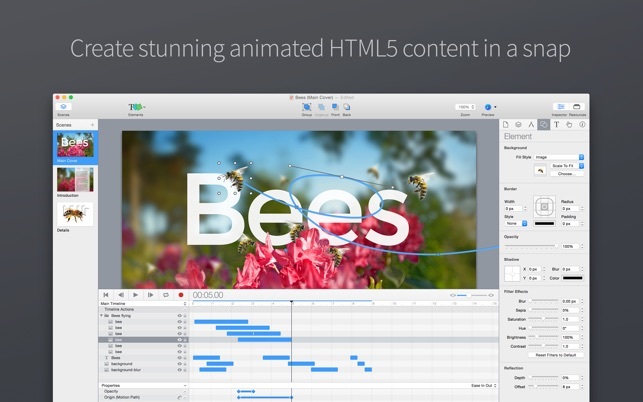 Create stunning animated and interactive web content with Hype. 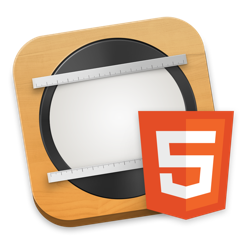 Hype’s HTML5 output works on all modern browsers and mobile devices like iPhones and iPads. No coding required. Hype is used by leading designers to create animations which add a “wow” factor to web pages, infographics, presentations, digital magazines, ads, iBooks, educational content, app prototypes, portfolios, animated GIFs, videos, entire websites, and much more. 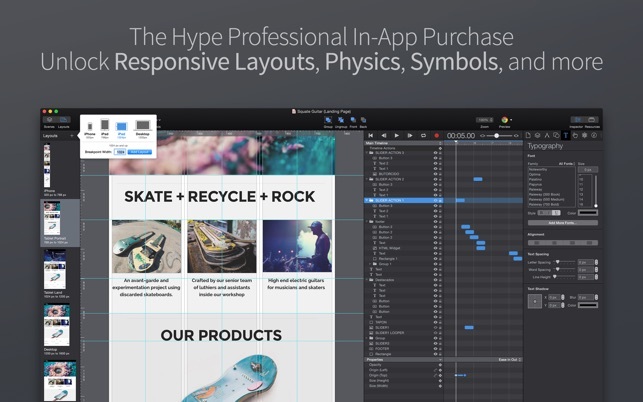 Hype won the 2011 Macworld Editors’ Choice Award. From prototype to production, anyone can create rich interactive media with Hype. Unlock Hype Pro via the Hype > Upgrade to Hype Professional menu item. 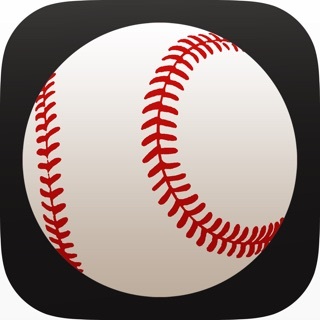 This is a Must Have application in your Mac Creative Toolbox! I have been using Hype since it’s first release and it has become an application that I use daily. I have used Hype to make simple games, web ads, marketing animations for Facebook, Instagram and Twitter. I have also used this application to produce some complex visualization tools for consumer product manufacturing and as a core HTML5 application component that can be added to web views in iOS. 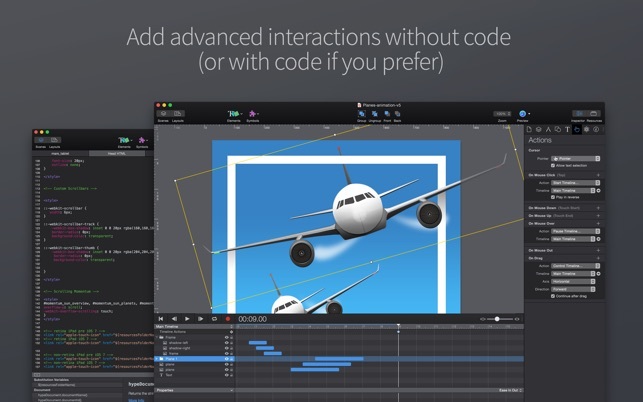 Right out of the download you can create some very wonderful and complex animations with the built in tools and actions. Hype’s versatility is one of it’s strengths. 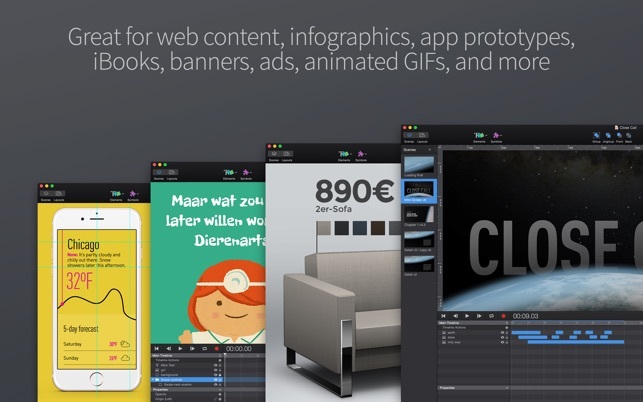 Whether you are building a responsive web site, HTML 5 application, animated video clip, animated GIF’s, or animated apng files for use in iOS sticker packs. This is the application that will help you get it done. 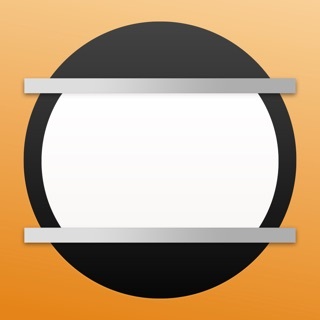 I highly recommend the product as well as the user forum and support that Team Tumult has hosted. You will find Tips and tricks,templates, and tutorials available in this froum that will help you get the most out of Hype. Hello. I’m a user this hype3 standard version. i can not buy hype3 pro from IN-APP purchase. and after I wish purchase pro version but, I can not purchase. after click the upgrade button, it never move to after process. and i already delete and re-setup hype3 standard version. but never solve this problem. Could i use other Purchase methods? 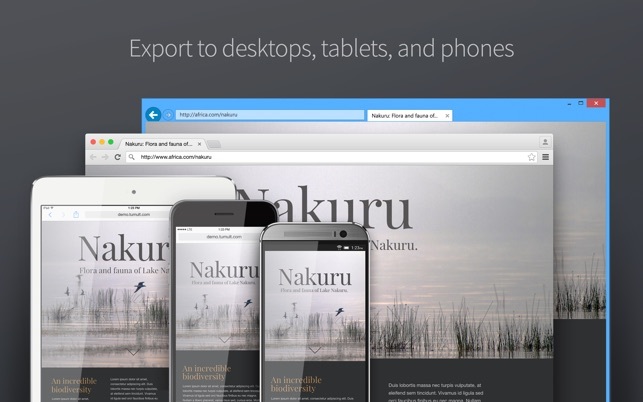 BEST alternative to Adobe Flash. Same, if not better, results. Steep learning curve but Tumult compensates for this by providing easy to follow video tutorials with detailed instructions.